Every evening around 9 they show up to rage. There’s a gang of seven racoons that have made my backyard their turf. You can see eight eye’s in this shot. 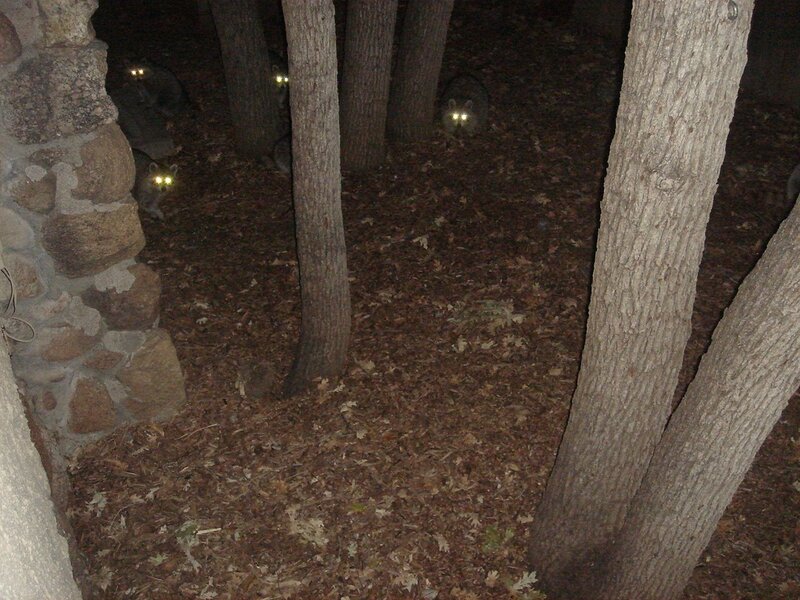 There’s one partialy hidden behind the trees and the other two are just around the corner (getting seven racoons to gather-round and pose is a time-waster. and kinda dangerous). Lately things have changed though… Preparing for the winter sleep, they’re gorging on the billions of acorns covering my backard. Then they’re pooping. I seriously average about 7-14 piles every morning. I’m cleaning up animal poop and the animal pooping is not my pet.